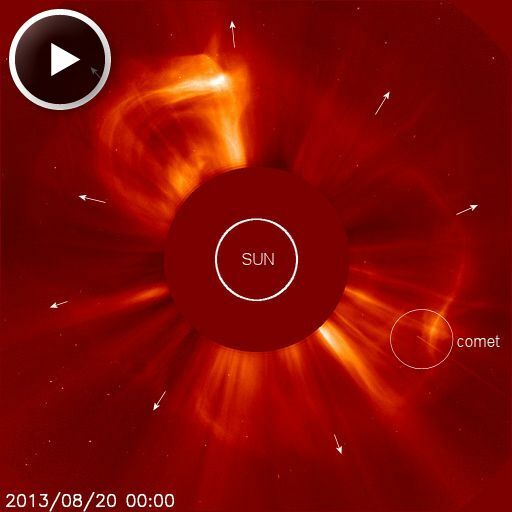 Solar wind flowing from the indicated coronal hole should reach Earth on Aug. 23-24. Credit: SDO/AIA. ANOTHER CME IS ON THE WAY: As Earth passes through the wake of one CME, which did little to stir geomagnetic activity on Aug. 20th, another CME is on the way. NOAA forecasters expect a coronal mass ejection hurled into space yesterday by an erupting magnetic filament to deliver a glancing blow to Earth's magnetic field on Aug. 23rd. High-latitude sky watchers should be alert for auroras. Aurora alerts: text, voice. 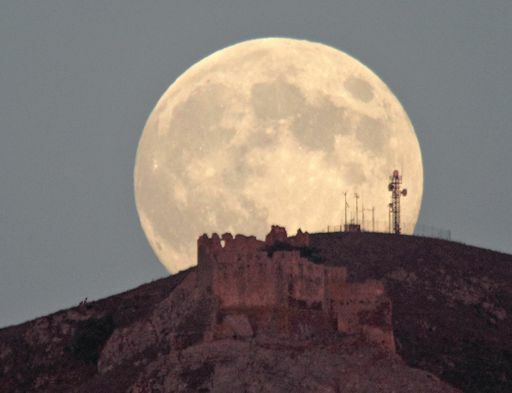 "The Full Moon of Aug. 20-21 is a 'seasonal Blue Moon,'" explains photographer Stefano De Rosa, "because it is the third of four full moons in a single season." But wait--isn't a Blue Moon the second full Moon in a calendar month? That would be the modern definition, which became popular in the late 20th century. De Rosa's definition is an older and, some would say, truer definition of "Blue Moon." Which definition is correct? Both and neither. It's all folklore! The only true-blue Moon is a Moon that actually turns blue. And, yes, that can happen. Under certain circumstances volcanic dust and ash from forest fires can scatter the reds out of moonlight, leaving only a blue-cratered disk behind. On August 21, 2013 there were 1397 potentially hazardous asteroids.